Apple's real rise from the small market-share Macintosh company to the iProducts of today began with iTunes and the iPod. This turned out to be a 2nd huge business which roughly doubled Apple's 'size'. If you remember, we ported iTunes to Windows. We now addressed 100% of the world's market with this integrated system (iPod/iTunes) and it began the era of Apple that we are now in. So why don't we port iTunes to Android? Did something get closed up? I love Apple products and iTunes and wish it were on my Android products too. 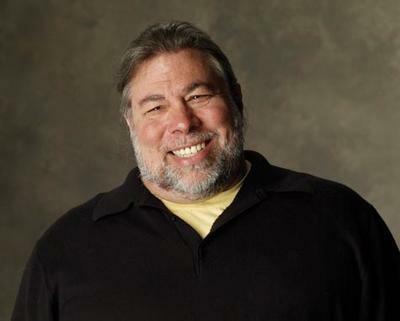 Keep dreaming, Woz. iTunes working with Apple's biggest competitor is never going to happen. But the stance about openness is a sentiment shared by a great number of techsters, and it's something that Woz admires about the Android operating system. So much of me lies in the Linux and open source thinking. It's where I'd be if I were young and finding my technology way. Some say that Apple iPhones are closed but there is a different view. They are closed as to methods of sale and delivery. You can create any app you want to and have the ability to on your own on the iPhone. You just can't distribute it to huge numbers of people outside the app store of Apple. So young developers are not hindered totally. Yeah, on Android you can do anything for fun and announce it to the whole world and that's very motivating. So keep it up. I have always given my support to the jailbreak community because they remind me of myself when I met Steve Jobs and how we were, then and for the years leading to Apple. Want more Woz? Then head over to SlashDot for the full Q&A. You'll want to get yourself a hot cuppa and settle in, because there are literally hundreds of questions about topics stretching from the iPhone to the Freemasons.